A plethora of nonfiction work has been on my desk lately, and there is some fascinating stuff that I'm excited to share. So I decided to do a big post highlighting my favorite ones. 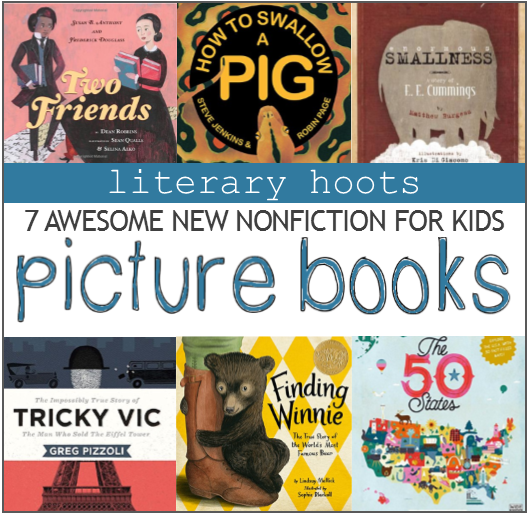 Totally random subject material, yes, but that's why children's nonfiction is so much fun! Everything from con men to Winnie the Pooh! 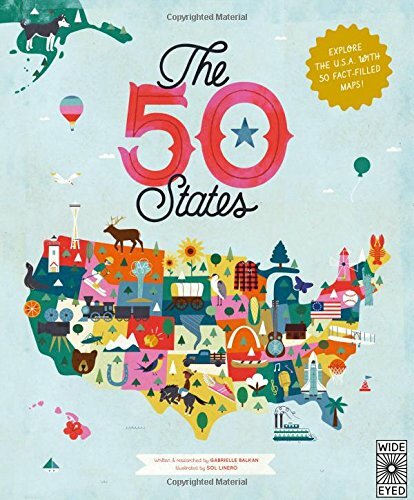 The target age group would be grade-schoolers, but there is—of course—appeal for all ages (I spent hours with the 50 States book, myself!...but I'm getting ahead of myself). Here's seven awesome, published-in-the-last-year nonfiction picture books. Robert Miller, a.k.a. “Count Victor Lustig,” moved to Paris hoping to be an artist. A con artist, that is. Incredibly smart, he was able to con people out of their money in Europe, America and everywhere in between (quite literally—his favorite place to con was transatlantic ocean liners). 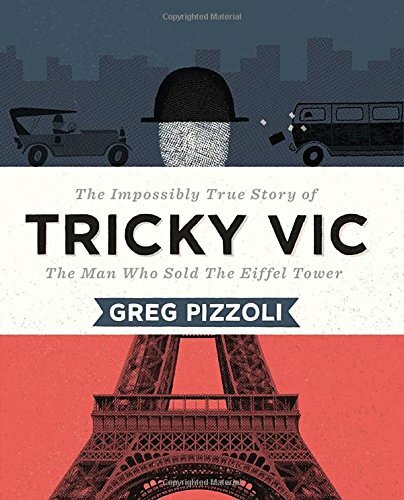 And, yes, he even sold the Eiffel Tower for scrap metal. 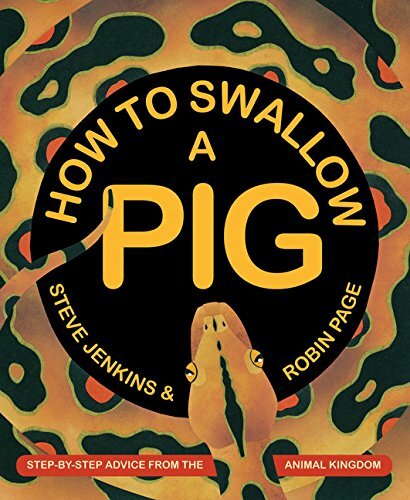 This book is amazing, not only because it tells an intriguing, lesser-known true story, but the illustrations throughout are ingenious. Simple, but evocative. Overall? Perfection, really. 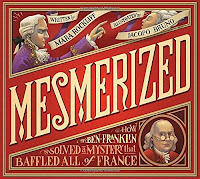 At elaborately staged shows, Dr. Mesmer, wearing a fancy coat of purple silk and carrying an iron wand, convinces the people of Paris that he controls a magic force that can make water taste like a hundred different things, cure illness, and control thoughts! But Ben Franklin is not convinced. How can he use science to show whats really going on? I love everything about this book. 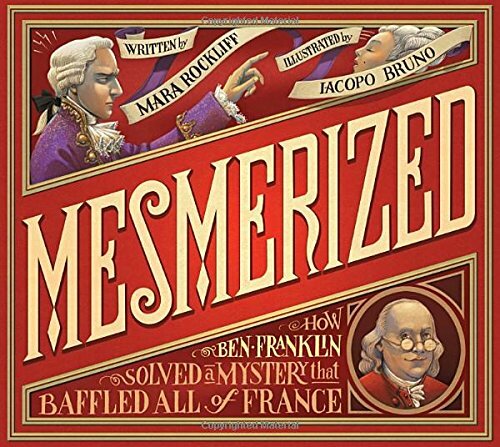 Not only does it tell a little-known story about Ben Franklin, but it outlines the scientific method, relates the story's importance to today's medicinal science, and explains the etimology of the word "mesmerized"—all with some amazing illustrations that make the book that much more enjoyable! So fantastically done. 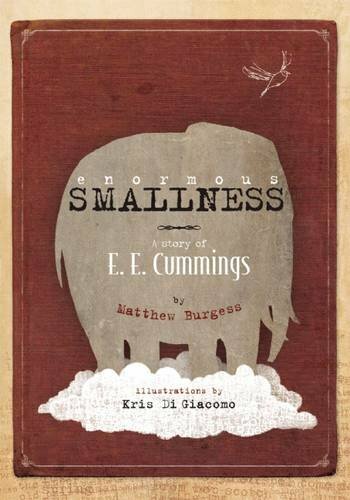 A true biography of the life of E. E. Cummings, but told as creatively as the subjects' poetry. Not only can this book be used as a useful reference for facts from Cummings' life, but it's an inspiration for the budding creatives who read it. How's this for a testimonial: I've never had much appreciation for poetry past Dr. Seuss, and yet, after reading this, I wanted to try my own "painting with words." Poems of his are highlighted in perfect pairing with Burgess' text and the simple, yet pretty, illustrations. Really, it's beautiful. (If a bit on the long side, so be prepared). This book is packed—I wasn't kidding when I said I spent hours pouring over it. There's so much to learn! Besides the usual statehood facts (flag, capital, state flower, etc. 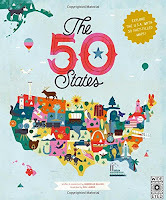 ), there's a timeline of important dates, highlights of inspiring people, and spotlights on regions/tourist attractions throughout each state. There's so much that, yes, I do wonder how they selected what to include and what to ignore, but it's still so educational. And gorgeous! The colorful, retro style of illustration is part of my main reason for why it's so easy to love. It's a fun reference book to have. In 1914, Harry Colebourn, a veterinarian on his way to tend horses in World War I, followed his heart and rescued a baby bear. He named her Winnie, after his hometown of Winnipeg, and he took the bear to war. 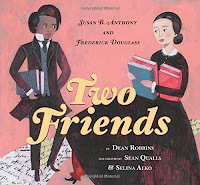 Harry Colebourn's real-life great-granddaughter tells this true story, and I don't need to say much about the illustrations—it got the Caldecott this year, after all! 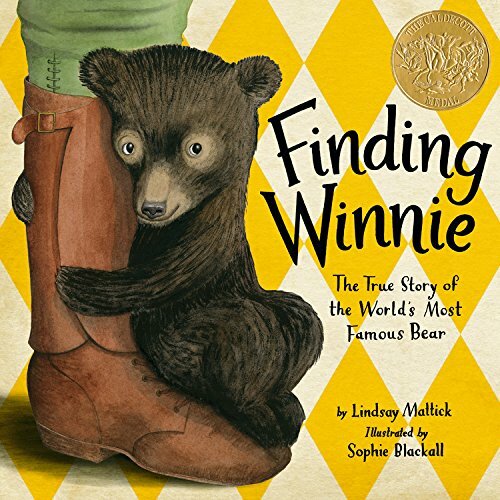 While the story behind Winnie is not unknown (as the title says—"world's most famous"), the way this book depicts it is what makes it fun and unique. Mattick tells us the story as she tells it to her own son and quite literally shows us the family album. Not only is it informational, then, but sentimental. 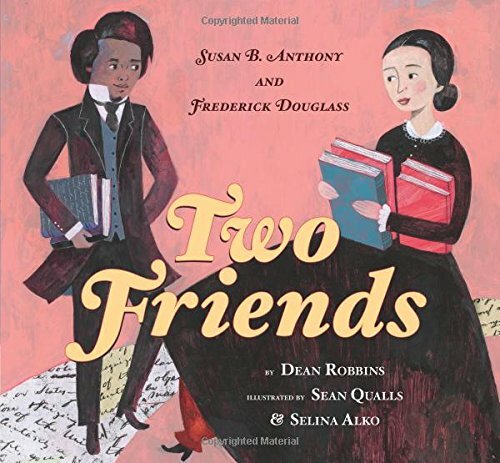 Just in time for Black History Month is this quick and simple account about the friendship between two well-known & loved activists. As the refrain repeats in the book, "Some people had rights, while others had none. Why shouldn't they have them, too?" And that's it really. There's not a whole lot of delving into the individuals—their pasts or motivations—just that simple, but powerful question. I think this a great introduction for the youngest readers. Plus, the care with which it was illustrated is very evident. Really, a beautiful book.